Seeing as how I got to fly the skies back in January when attending CES, I can somewhat relate to this — mobile boarding passes. 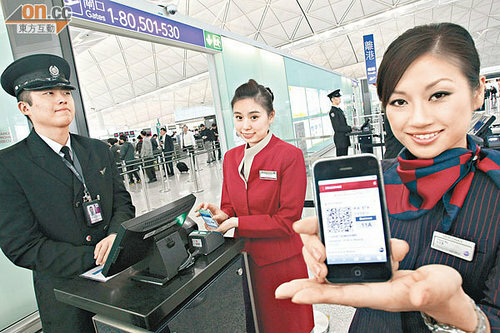 According to Trinity Mobile (one of the leading companies behind mobile boarding passes), 2009 saw an increase in mobile boarding pass usage to the tune of 1200%+. Talk about progress. According to their data, over 600,000 fliers opted in (voluntarily) for the paper-free boarding option as opposed to the meager ~50,000 from 2008. What’s impressive however is that there really hasn’t beenany big public marketing push from either Trinity or the major airlines meaning users are opting in for this service by themselves. As we as a society further entrench technology into our daily lives, we can expect to see the number of paper-based boarding passes shrink with each passing year. Estimations by Trinity have 2010 offering up over 2 billion mobile boarding passes with that number skyrocketing to over 15 billion by 2014. 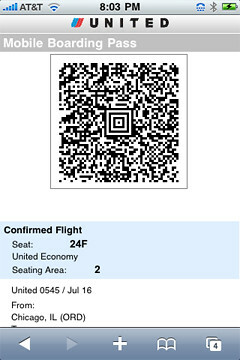 I honestly can’t see why anyone would favor a paper boarding pass over a mobile/electronic one. It’s exponentially more convenient, which is why I only use such things. Who else has gone electronic on their voyages across the planet? If you have opted out of paper-based boarding passes, how easy or not easy has the whole experience been for you?